Many of you might be thought that touch typing is the only way to type. 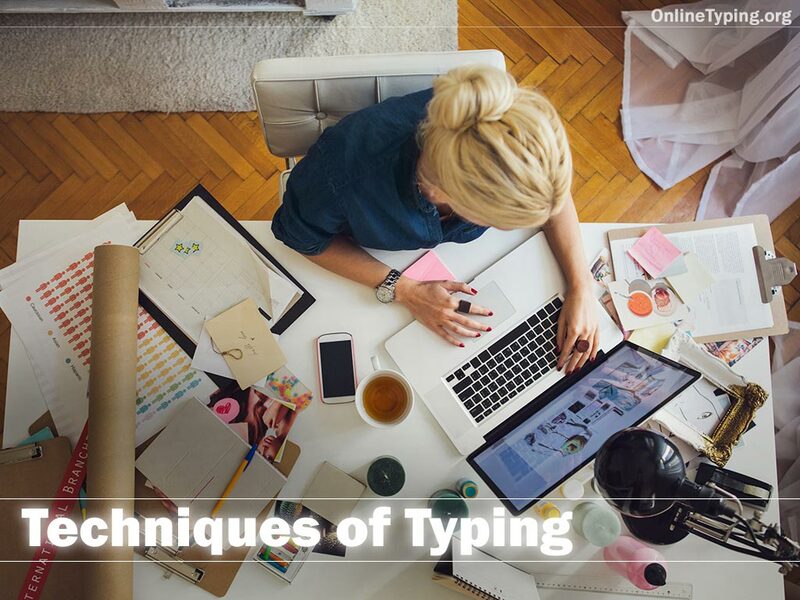 Although touch typing is the most efficient way to type, there are many other typing techniques also have. In this article, we will discuss several techniques of typing. So let's start. After the invention of "scrittura tattile" (Worlds first typewriter) in 1575 people slowly understand the importance of typing. Slowly human develop several devices to make type faster and accurate. Beside the development of the typing devices, the basic technique of typing also upgraded day by day. After the invention of the computer, typing becomes more easy and accurate because of the backspace key. In modern days people generally use 5 typing methods to type. It is the most common and most efficient method to type. In this method, the typist looks at the source and type continuously without looking at the keyboard and the screen. As you don't need to look back to the keyboard, the speed automatically increases. Almost every professional typist use this method to type. To practice touch typing you may use our online typing test 10 minutes program. Hunt & Peck is a typing technique where the person types each key one after another. In this method, the user looks at the keyboard and don't look at the screen. So if the typist makes any error, it is very difficult to find. This technique is a mix of Touch Typing and Hunt & Peck method. In this method, the typist memorizes the keyboard layout and focusing the result on the screen. To speed up, the typist fixed their hand position on the keyboard and only moves their finger to type. Buffering is a play pause method of typing. Here the typist read a sentence of the content, memorize, and then type. It is a slow process of typing so we strongly recommend not to use this method. Thumbing is the most modern typing technique. After the development of Smartphone and tab, this new method has developed. In this method, the person uses their both thumb to type. This typing technique is useful only on small devices. According to a recent survey, Touch Typing is the fastest technique to type. But as the person doesn't look at the screen it is quite possible to make an error while typing. So it is better to memorize the keyboard layout perfectly before use touch typing method.